Can you save money by quit smoking? We often hear people arguing how cigarettes influence our financial situation in a negative manner. The habit itself has no real benefit to those who practice it, yet people spend thousands of dollars on tobacco product every year. 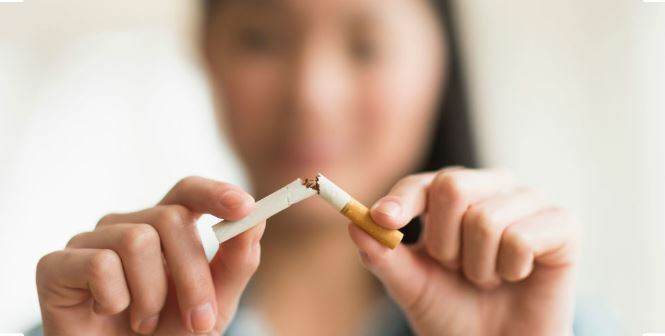 Cigarette addiction is one of the most difficult to break, and it seems as though monetary aspect is not doing its part in motivating smokers to quit. For most people, financial benefit is nothing but a myth, mainly because not many of their non-smoker friends are getting rich due to their lack of burning tobacco. The truth is, there are many ways to stop smoking cigarettes and actually see a substantial growth of numbers on your bank account. Here are some of the most notable points that explain how breaking the habit brings more money into your pocket. Can you vape instead? If quitting is not taking you anywhere. Get your pocket some respite and your lungs some less pain. Less harmful than inhaling smoke from combustible cigarettes. 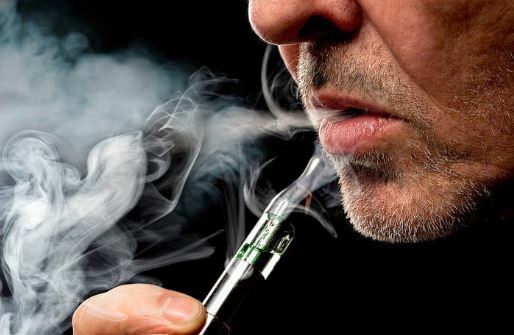 The math is rather simple when it comes to the economics of trading regular smokes for e-cig. If you smoke one pack a day, it costs you around $5 a day, which makes $150 each month, and ends up with $1800 a year going up in smoke (pun intended). On the other hand, a quality vaping tool goes for around $50, which you pay once and use it until you decide to get a new one. A 30 ml bottle of liquid would beat around $22 out of your pocket and replace 30 packs of regular cigarettes. This is where the line between the two becomes clearly visible. Additionally, you will need to buy a coil every couple of months, which is additional $5 expense. In total, switching to vape allows you to save money that you could later spend on better cable or faster internet package, some new clothes, or even a vacation. Additionally, you don’t have to inhale carbon dioxide, there are no additives that they put into smokes like tar and similar harmful substances. Ultimately, enjoying an e-cigarette keeps your brain blind to the fact that you are no longer smoking. You get the same satisfaction, the right amount of nicotine, and put money in your pocket. Now, we all know smoking doesn’t come without its down-sides. However, it seems to me that we don’t take them all into consideration seriously enough, at least not enough to think about their financial influence. As it is, smokers have to paint their home interior more often than non-smokers. Unlike e vapor, cigarette smoke leaves its mark on clothes and furniture as well, so smokers have to spend more money on cleaning, getting new clothes and furniture if it gets accidentally spoiled or burned by accident. Personal hygiene is also a large issue for those that are addicted to combustible tobacco products. Bad breath, the smell of smoke, they all ask for expensive hygiene products that you wouldn’t use otherwise. Healthcare costs much less when you’re not actively working on poisoning your body with regular smokes. More than 16 million Americans are living with a disease caused by tobacco smoking. For every person that dies because of smoking, there are 30 people living with a smoking-related illness. Smoking causes cancer, heart disease, stroke, lung diseases, diabetes, etc. Imagine, instead of spending all that money on the doctor you could save that cash for some other, more pleasurable activities. In addition, secondhand smoke harms those who live with you, making an impact on the overall home budget. All these consequences are easily avoidable, at least by switching to electronic cigarette alternative. According to some resources, smokers earn less money than their non-smoking counterparts. In addition, there is a reasonable chance that, as a smoker, you are less likely to get hired, unless you’re too good of an expert for a company to lose you on account of smoking. The employers’ logic varies in this situation, and it spans from greater health risks to insufficient productivity. Stanford University Associate professor Judith J Prochaska stated in her report that smokers earn around 25% less money than non-smokers. The reason for such a notable difference between two groups is mainly because nonsmokers cost less. Employers spend around $6000 more on those workers who smoke because of health care, absenteeism, cigarette stops, etc. The report fails to mention if the study included those who use e-cig, vaporizers, or any other alternative to regular smoke, though. I really hope this article helped you understand some of the most notable advantages of losing the habit and putting a stop to your nicotine addiction. At the end of the day, if you don’t make those millions, your body will be grateful, your social and natural environment will notice the difference, too. Keep in mind that there are always healthier and less expensive alternatives. About the Author: Phyllis Baker is the blogger specializing in quitting smoking and health. Her personal interests include self-development and psychology. I have noticed over the years that people who have a stable home life find it easier to quit smoking than those who don’t. I suppose people who are living in chaos or unhappiness use smoking to self medicate. The strange thing about an addiction is when you are too happy you want to have it and when you’re depressed, you want to have it. alcohol and nicotine are good examples.